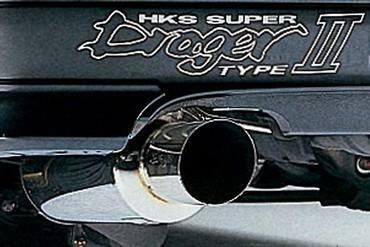 Designed for both turbocharged and naturally aspirated applications, the HKS Drager Exhaust system was the first of its style to incorporate a seamless muffler shell. Each system is constructed with a high-luster polished, straight-through SUS304 Stainless Steel muffler assembly with an engraved, angle cut logo tip. The Super Drager systems that are designed for turbo applications utilize either a 106mm, 120mm or 130mm diameter tip and up to 95mm diameter size piping. Naturally aspirated Super Drager applications utilize 60mm diameter size piping and either a 106mm or 115mm tip. 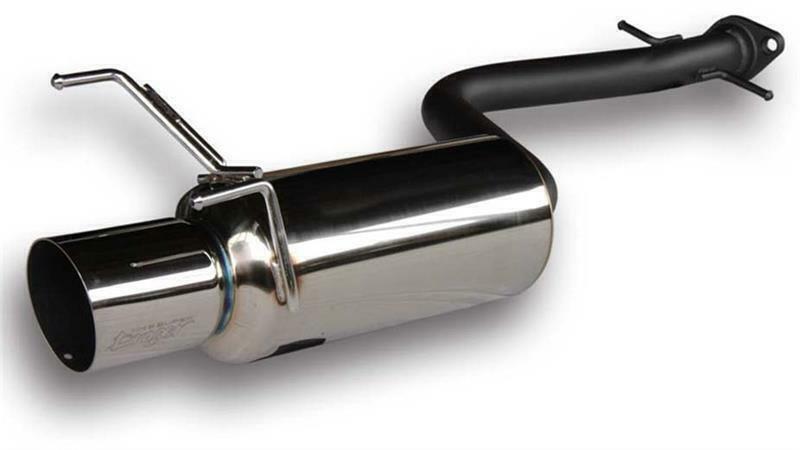 The Drager II series is the evolution of the original Super Drager muffler. The new Drager II muffler incorporates a slim-line muffler, designed for added clearance and a 120mm tip that allows for an optional silencer insert to be used for additional exhaust noise suppression. Each system increases low-end torque, improves mid-range response and delivers high-end horsepower.